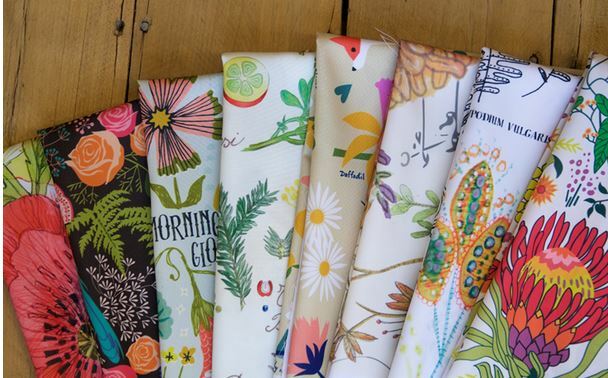 We’re on the homestretch of the Spoonflower – Moda Fabric8 contest – Botanical Sketchbook. 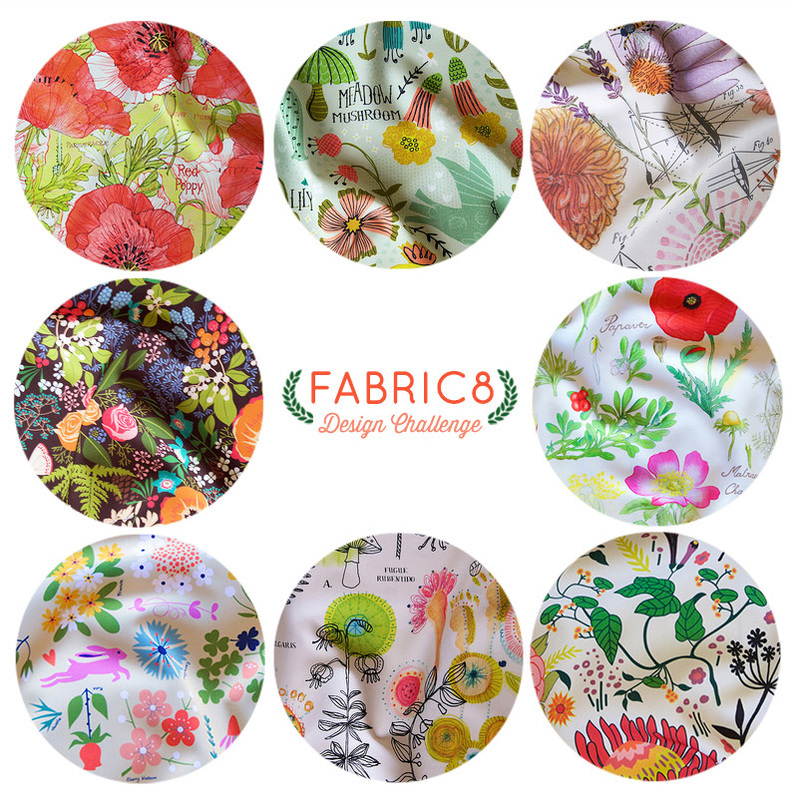 The eight finalists chosen by you – the voters – have added designs to their collections and now it’s up to you to choose who will be the next Moda fabric designer. Voting is open! You have until next Wednesday – October 14th! The winner will be announced on Thursday, October 15th. Anyone and everyone can vote! Just VOTE! If you share a computer at work or at home with another Spoonflower user, please note that you will need to be logged into your own Spoonflower account to make your vote counts as Spoonflower has fraud detection that controls for votes from the same IP address unless you’re logged in. If you’re not a member and want to be, that’s easily done. It’s fast and it’s free, and you can do that here. Tough choices but the photo of Jennifer Geldard’s whimsical birds has it down to her and Lucie but I think I like her submission in the darker colorway that was used to wrap the presents. They all are wonderful and Moda would do well to hire them all! One of the toughest votes I have ever done. First round of looking…they all won. Congratulations to all for getting to the last round. They are all wonderful. On to round two of trying to choose. So hard to choose. They are all beautiful! That was hard!! I voted, but I have to say the the Italian artist came in a close second. It would be wonderful to see her designs in fabric too!! One of the toughest votes I have ever done. Duclos!